Given that the Earth is becoming more and more overcrowded with each day that it goes by, it only makes sense for people to forego eating meat, at least two to three days a week. The impact that meat production has on the environment is extreme, but the fact of the matter is that humans do not need all of that much protein in their diets. If you’ve ever thought about becoming a vegetarian or a vegan, you probably know that it is challenging getting the right amount of iron and B12 from plant-based sources. But you could try becoming a pescatarian, who is a person that consumes fish, but who doesn’t eat meat. 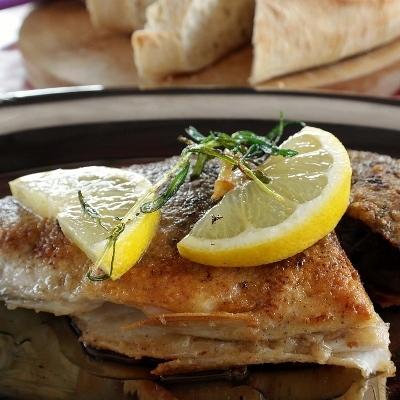 There are many health benefits to choosing fish instead of poultry or red meat, for instance. One of them is the fact that it stimulates brain activity. Some species are packed in omega 3 and omega 6 acids, which both contain DHA and EPA. These two can maintain the status of a human’s cognitive functions. That’s why fish is recommended to seniors especially as they have a higher risk of losing their memory or developing diseases like Alzheimer’s or other forms of dementia. Furthermore, eating fish regularly has been linked to a lower incidence of depression. According to this article, which details 5 reasons why fish is great, approximately fifteen million American adults suffer from depression and other forms of mental illnesses. Another reason for you to eat fish on a regular basis is that it promotes cardiac health. As you know, many people with heart conditions are red meat eaters. This type of food also comes with a plethora of anti-inflammatory benefits, which is why it is said that it is capable of easing the pains of rheumatoid arthritis. As with any other type of food, fish has to be consumed under certain limits. Otherwise, it can be less beneficial. Besides, there are certain risks that fish eaters have to take into consideration to make sure that they keep their health on par. Despite the fact that, compared to other types of foods, fish has a lower chance of endangering your health, especially if it is cooked properly, there are certain risks you ought to be aware of. One of them is the presence of contaminants like mercury in fish like anchovies, sardines, and mackerel. In some countries, fish is food for other fish, which is not a good practice considering that this is precisely the way that Bovine spongiform encephalopathy, also known as Mad cow disease happened. In addition to all of this, fish can also have parasites, some of which can affect humans. Not all fish parasites are pathogens that can affect people, though, but one of them is Henneguya salminicola, and it can be found in trout and salmon in Oregon. It is recommended that you cook your fish properly to avoid getting food poisoning. Keep in mind that, if you cook your pet’s meals at home, you should cook the fish for it properly, as well.